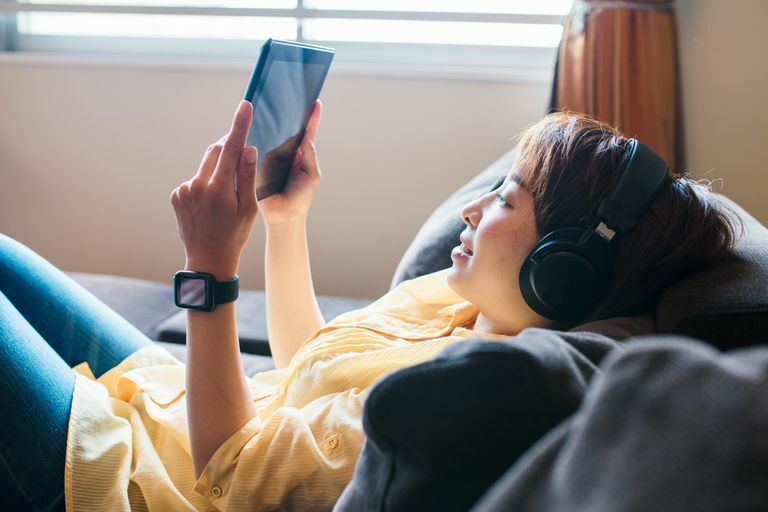 Cutting cable, or cutting the cord, out of your life isn’t always just about kicking the TV habit or switching over to a streaming video package. Sometimes, money is a key factor. Many households have found creative ways to save on their monthly overhead by avoiding major cable companies or phone service providers altogether when it comes to getting their internet service. As technology improves, there are more and more ways to sign up for high-speed internet service without having to pay for cable or phone service. Did you know that cord cutters can stream content to televisions from a variety of manufacturers including, but not limited to, those made by LG, Samsung, Panasonic, Sony, and Vizio? To get started, you need to find out which companies offer internet service in your area. This will often include one or two big names like Comcast, AT&T or Time Warner, along with smaller local providers or DSL service resellers. Shopping around and talking to numerous ISPs can work in your favor even when few choices are available, as many internet providers often offer introductory deals and/or rebates for switching to their service. It's a good idea to conduct an internet speed test, by the way, to be sure you know how fast your current speed is — and what you need when you cut the cord. Use an internet service provider search tool to find out which companies service your area. Call each company that offers service to your area to find out what they offer. Check with your current provider to see how their offerings compare. Be sure to ask about installation and equipment fees, too; no one wants to find extra charges on their first month’s bill after installation. Above all, take your time and carefully compare your options before signing up for any monthly ISP subscription. Some big-name telecom companies are notorious for overcharging customers for basic services and equipment, or even misleading consumers by hiding sneaky loopholes in their contract's fine print to charge for services they claim are free. Is there a data cap? What happens if you exceed your monthly data cap? What kind of download speeds are available? If satellite is available in your area, is your physical location conducive to good satellite reception? What contract lengths are available? Is there a fee for terminating service early? Will the price quoted go up after an initial introductory period? Aside from cost, network speed is usually the deciding factor when it comes to choosing the right internet service provider without cable or phone. That’s not to say that faster is always better. Many households don’t actually need a high-speed connection for their daily internet needs. If you plan to stream audio or video or play games online, however, you’ll need a fairly high-speed connection. On the other hand, if you plan on mainly browsing the web and answering emails, a lower-speed connection should be just fine. If a high-speed connection isn’t available in your area and you still want to stream video, don’t be disheartened; reports have found that speeds as low as 5 Mbps are sufficient to stream most content on Netflix. Since faster connections are often more expensive, consider your needs wisely before choosing an internet plan. Note, too, that advertised speeds don’t always match the actual speeds you’ll get at home. Ask a potential ISP if it will allow you to conduct an in-home test before signing up. Should I Buy My Own Modem or Router? Modern internet service requires specialized equipment (a modem, for example) that typical households often lack. While internet service providers can provide this equipment for their customers, there are often monthly rental charges attached. Most internet providers charge between $10 and $20 each month to rent modems and routers in addition to monthly service fees. After a few years, those costs can add up to hundreds of dollars. Buying your own modem and/or router can cost significantly less in the long run and give you the freedom to keep the item should you move or switch ISPs. While you might be tempted to price-shop for a modem or router, investing in the newest, fastest tech can ensure you the best internet speeds and long-term use. Before buying a modem or router, consult with your ISP to determine what type of each you’ll need and which ones they recommend. Don’t be pressured into renting one from your ISP if you don’t have to; nearly every internet connection is compatible with a wide range of modem and router technologies and brands. Unfortunately, millions of U.S. households still do not have many choices available when it comes to broadband access, particularly in rural areas. Only slightly more than 50 percent of American households living in rural areas have access to broadband internet. For various economic and topographical reasons, installing the required infrastructure for broadband internet is still difficult in these areas. Several companies like HughesNet and WildBlue have sprung up to fill this gap by providing broadband satellite internet to rural areas. However, these satellite providers still aren’t available in every location. If you can't find one, try the United States Department of Agriculture’s Rural Development program. It has several grant programs designed to bring broadband access to rural areas. These require a lengthy application process and have limited annual budgets but can be the perfect solution in certain parts of the country. What If I Need a Home Phone? Don’t let the need for a home phone keep you from cutting the cable and switching to an internet-only plan. Thanks to a technology known as Voice over Internet Protocol, or VoIP, it’s now possible to connect a phone to the internet and use it in the same way you would a landline phone. There are dozens of VoIP providers on the market, but like any technology, there are clear standouts. Skype has a subscription plan which allows you to receive and make phone calls through your computer or mobile device, while VoIP providers like Ooma and Vonage allow you to use an actual home telephone handsets. Like any utility choice, do your research before jumping into a commitment. A little bit of planning can go a long way in the end.